Left: Laurence Cummings – photo (c) Robert Workman. Right: William Carter. Laurence is amongst Britain’s most exciting and versatile artists in the field of historical performance. Here he sings heart-easing music by Dowland and Campion with one of the world’s greatest lutenists. Previous: The Viola d’Amore: Love and Jealousy (13 July). 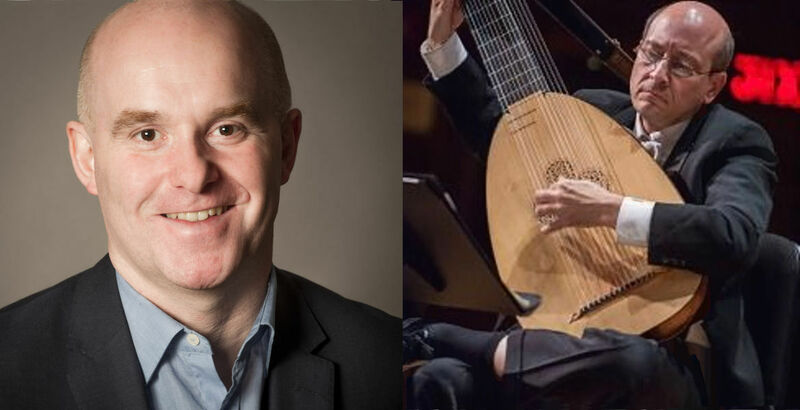 Next: The City Bach Collective – German Baroque Masterworks (17 July). Up to main page or read about how to support us.